The JetRest travel pillows have been ergonomically designed to cushion the head upright naturally and are made in wonderfully comfortable fabrics - just like your favourite pillow from home. Traditional u-shaped travel pillows do not provide support to the neck and side of the face. 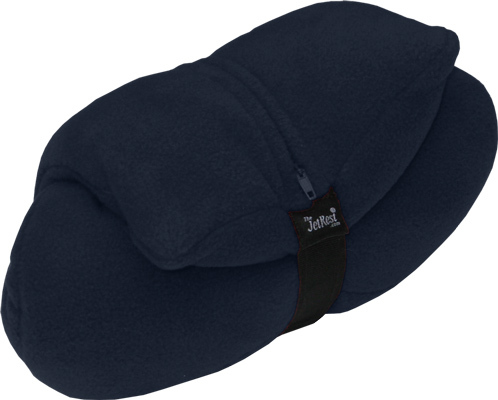 The JetRest travel pillows are L-shaped and held in position by the body's own natural forces. By leaning back against the pillow, the cushion will stay in position even while sleeping and there is no need to lean against a window. In this way the wonderfully soft pillow provides true support to the neck and side of the head. 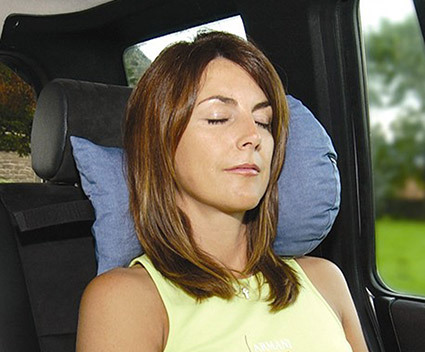 The JetRest travel pillow has been ergonomically designed to cushion the head in an upright naturally position. Comes with a handy soft PVC carrycase. Most of our customers buy more than one thing. These are the top sellers.